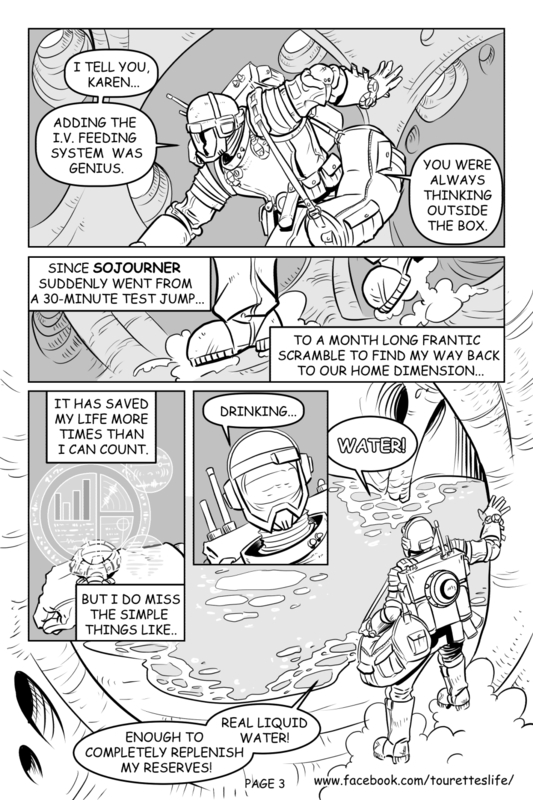 Project: Sojourner is a free online comic from the mind of Mr Fish Lee. A short story written for the pages of “YEET Presents” following the continuing misadventures of Lt. Nathaniel Pilgrim. A research scientist whose 30 minute test jump to another dimension has led to a month long run for his life through the multiverse! Never knowing what is waiting for him on the next jump. Be sure to visit https://www.facebook.com/yeetpresents/ and sign up for your FREE comic book! I look forward to my free copy of YEET every month! Check back Monday, August 20th 2018 for the next page! they will be updated every Monday till the story is told!